Click here for PDF catalog. ﻿In today’s very competitive marketplace you need reliability, so you need to use circuit breakers that are high quality and technically correct for your application. 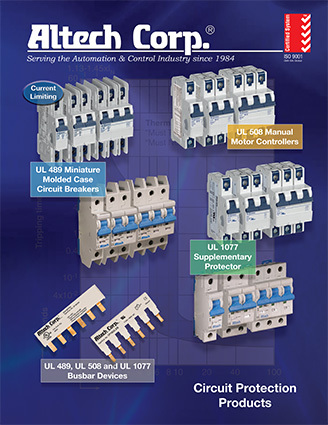 Altech is a US leader in DIN rail mounted breakers with ratings up to 63A. 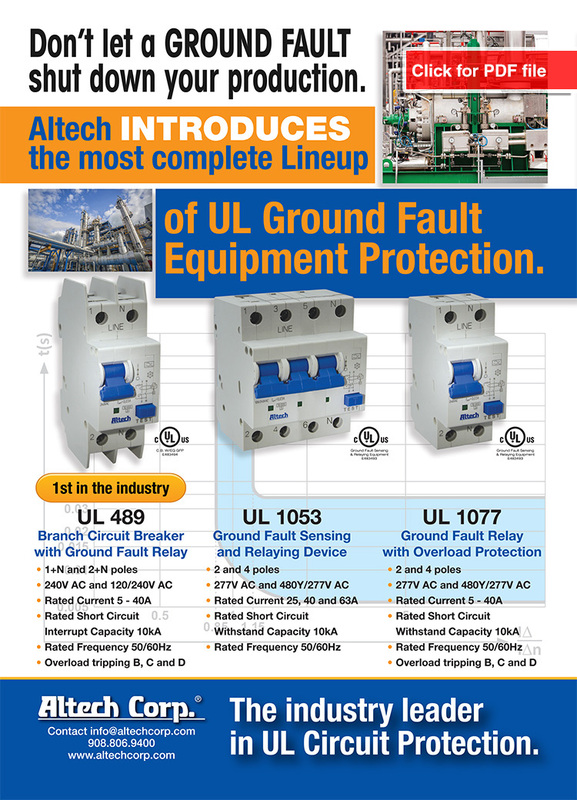 Only Altech offers DIN rail mounted breakers that meet UL489, UL508 or UL1077 approvals with a short circuit interrupt capacity of up to 10kA. No other manufacturer offers this complete line. This assures you the right product for your application requirements. 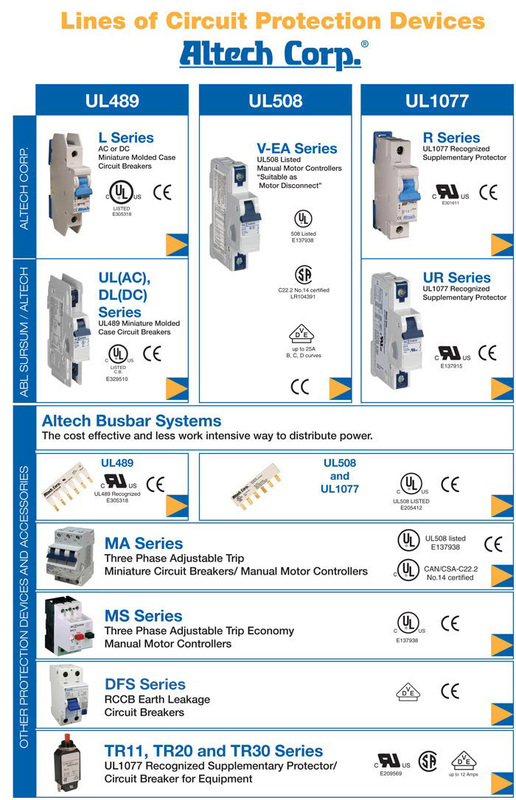 If your application requires a manual motor controller, Altech is the leading US supplier of UL508 Manual Motor Controllers (MMC). In AC, we offer up to 60A in 1 to 3 poles at 480Y/277VAC. With 6 trip curves, Altech has the largest selection in the industry. 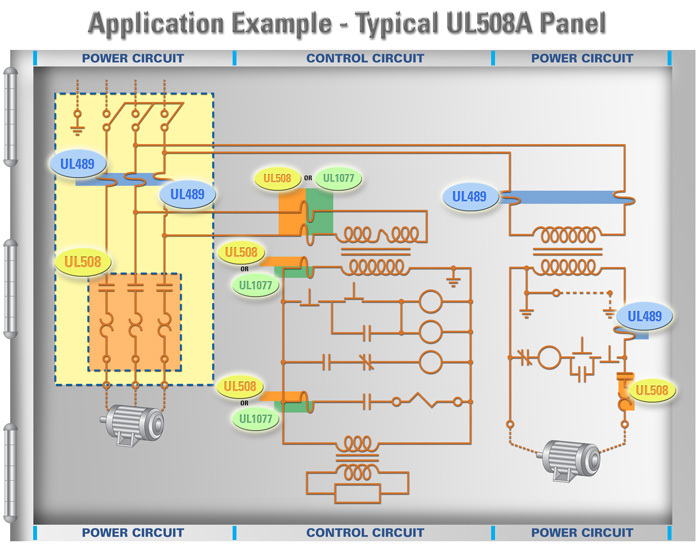 This ensures you the selectivity you require for your application designs. Our MMCs have a 10kA short circuit withstand capacity, this is the highest rating in the industry. The AC version is rated up to 60A and is DC rated in 2 poles up to 80VDC.